At the law firm of Gillespie & Murphy, P.A., we are Christian lawyers dedicated to helping you achieve your goals in matters of Chapter 7 or Chapter 13 Bankruptcy. With office locations in New Bern and Wilmington, NC, we represent clients in bankruptcy proceedings throughout Eastern North Carolina, including the counties of Craven, New Hanover, and Onslow and the communities of MCB Camp Lejeune, Jacksonville, Havelock, Greenville, Elizabeth City, Washington, and the Marine Corps Air Station (MCAS) at Cherry Point. As a Christian law firm focused on helping the good working people of North Carolina, we assist clients in getting the fresh financial start they need through bankruptcy. We are down-to-earth attorneys whom you can trust to provide an honest evaluation of your situation and only the best legal advice that is tailored to meet your needs. In everything we do for you, we are professional and reliable, delivering the results to which you are entitled under the law. Founded in 1991, our law firm has quickly expanded into our current practice of three highly skilled attorneys and an excellent support staff. 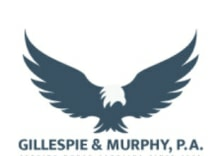 J. Allen Murphy and Kenneth Robert Gillespie, our founding partners, each has over 20 years of experience. If you are seeking a North Carolina bankruptcy law firm, we can help you. Contact us now to arrange for your free initial consultation in person at one of our offices, or a free telephone consultation, or click on bankruptcy intake link and complete and submit your information for a free financial analysis to determine your bankruptcy options. It is our pledge to work hard to make sure you get the fresh start or benefits you deserve.